Venipak.lt | Venipak is logistics service provider which offers express shipping, parcel delivery services and other logistics solutions in Lithuania, Latvia, Estonia, Europe and other countries. Overal value of delivered goods up to 2 000 000 000 Eur. Making your life easier at a lower price! 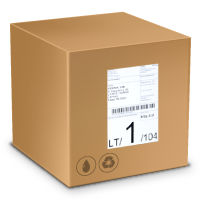 Parcels in Latvia, Lithuania and Estonia from 2,99 Eur! Please enter the dimensions of your consignment and get a quote instantly. A convenient network of pick-up/drop-off points. Please drop off your consignment at the pick-up/drop-off point at your convenience. Track your consignment on Venipak Online System.